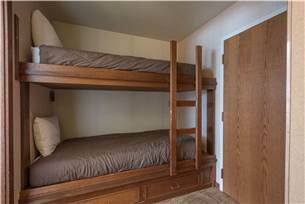 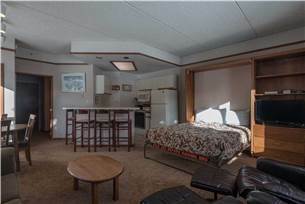 Telemark Lodge 206 is a Studio which Sleeps up to 6 people with a set of bunk beds in the entry area, a Queen Murphy Bed and a Queen Sofa Sleeper in the living area. 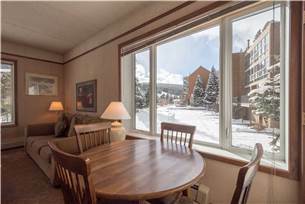 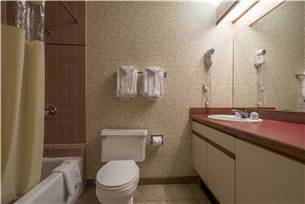 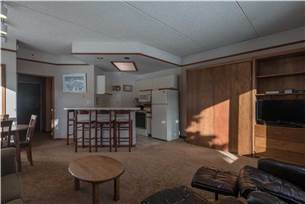 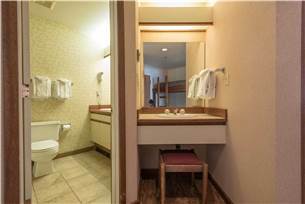 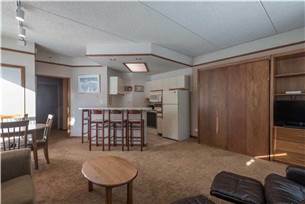 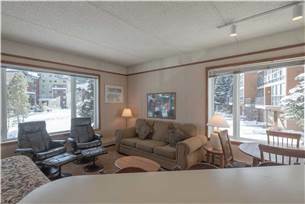 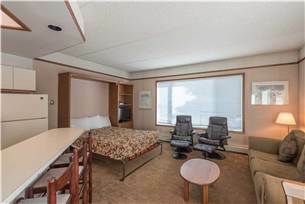 This sunny unit features a Full Size Kitchen, Fee Based Wireless Internet, a Full Size Bath and an additional vanity with a sink. 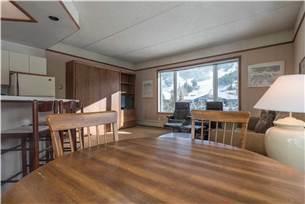 The living area has a TV/VCR and beautiful views. 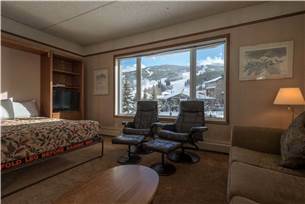 A short, 3 minute walk is all that is required to ride the American Eagle and Flyer Chair Lifts up the slopes of Copper Mountain. 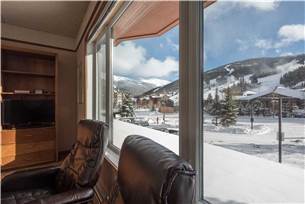 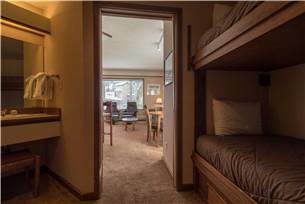 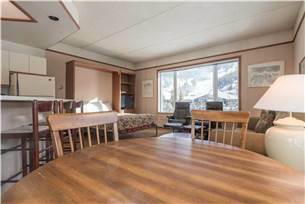 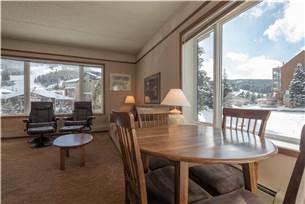 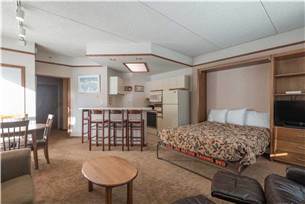 Telemark Lodge #206 is approximately 505 square feet and is an end unit that is ideal for a small group or a small family looking for the most economical lodging for their vacation.